Wake Notebooks at Buffalo, ed. Daniel Ferrer, Geert Lernout & Vincent Deane. 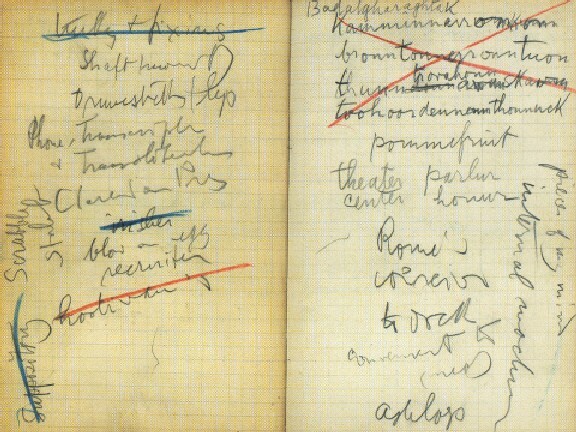 Material contained in the Notebooks remains copyright by the Joyce Estate. with Joyce's writing and is employed emblematically.